​The Los Angeles Rams, thanks in large part to the ​referees during the NFC Championship Game, are going to the Super Bowl. Despite how obvious the blown call looked ​from every angle, Rams head coach Sean McVay had the guts to defend the refs. ​​While McVay certainly has a point when it comes to letting the players play, this was a ​very blatant offense that would've had a huge impact on the game. Saying it was a bang-bang play in real time just makes him look like a liar trying to come up with excuses. 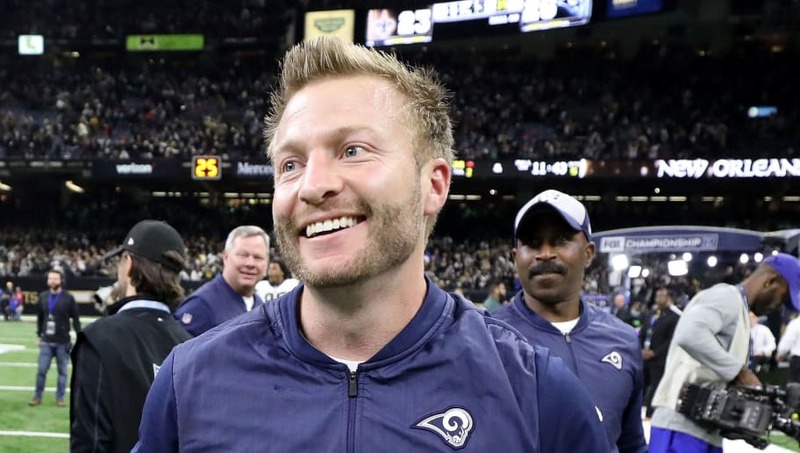 ​​Some may view McVay as a fool for defending the non-call. Others could view him as being very bold for trying to dismiss the play. There's no doubt that he's one of the best coaches in the NFL right now. He probably wants to move on from it to avoid causing distractions for his players. That way, they can focus on the task at hand: beating the New England Patriots in the Super Bowl. Kudos to the man himself for seemingly defending the indefensible.